My friend Josh picked me up from O’Hare and we went to the Intercontinental on Michigan Avenue. Room rates were surprisingly cheap, starting at $93+tax. I spent a little more for a superior room and then got a small upgrade as a platinum. Overall, the hotel was very good. 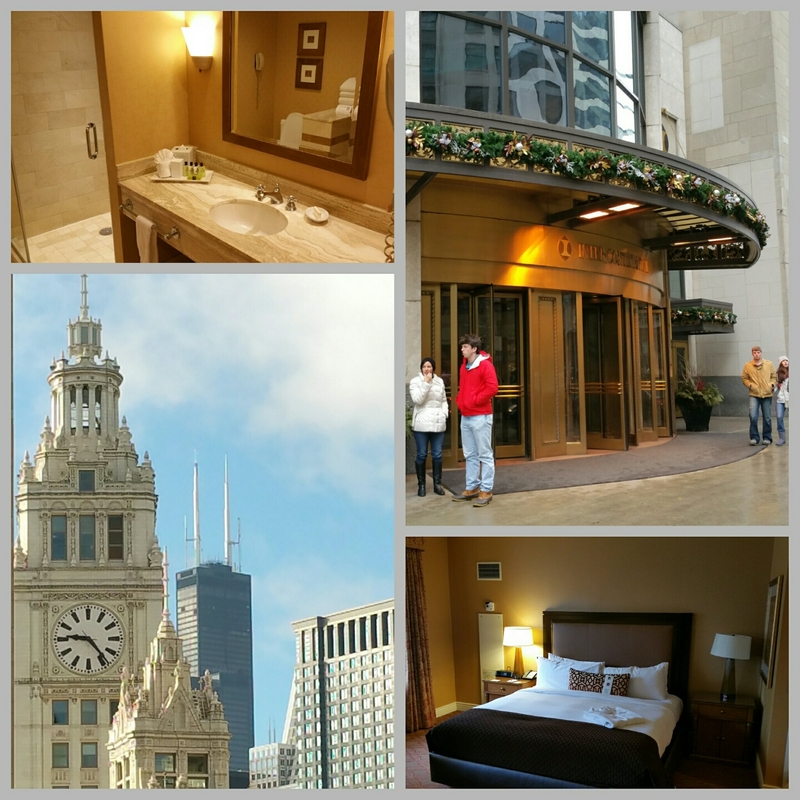 My room had a separate shower and bath, was finished to a good standard, and had a view over the Chicago River and the Trump Tower, with glimpses of the Willis Tower. We had drinks and snacks at Michael Jordan’s bar in the lobby and then headed to Benny’s Chop House at the suggestion of the concierge. We weren’t disappointed; one of the best steak dinners I’ve had in a long time. We then headed back to the hotel bar for a nightcap which turned into a bit of a session. The night wound up in the wee hours, and Josh’s girlfriend Ann joined us. The three of us had a great time despite the rainy, cold weather. Today it’s off to Union Station to catch my first-ever Amtrak train to North Dakota.